"I thought David Lingmerth’s course record was strong enough to warrant a small investment at [60.0] and my other three picks are even bigger outsiders." Formerly the AT&T National, the Quicken Loans National replaced the old Colorado-based stapleford event called the International on the PGA Tour in 2007. K.J Choi won the first renewal, and this will be just the 12th edition. This was Tiger Woods' tournament from the start and he was very evident for the first few editions but personal issues saw him slip into the background, although the Tiger Woods Foundation is still the tournaments charity. TPC Potomac at Avenel Farm, Maryland. The Quicken Loans National moved to Aronimink for the 2010 and 2011 editions, while its usual host venue, Congressional, was used for the 2011 US Open (won by Rory McIlroy) and it was played at the Robert Trent Jones Course in Virginia three years ago. The Congressional members have decided that they don't want the upheaval of staging a PGA Tour event every year so last year we moved to TPC Potomac at Avenel Farm. And I've read we're on the move again next year, with the Donald Ross deigned Detroit Golf Club supposedly in the running which is a shame if true because last year's event was brilliant. TPC Potomac used to be known as TPC Avenel and it was the host course for the now defunct Booz Allen Classic between 1987 and 2006, except for 2005, when the tournament was staged at Congressional, while Avenel underwent a redesign. Situated between a housing development and a sewage works, Avenel was almost universally disliked and it was considered a much inferior venue to the tournaments previous hosts, Congressional and Quail Hollow. The Booz Allen tumbled in stature until it eventually died a death and after the final renewal in '06, the course underwent a substantial renovation lasting two years and the course was renamed and rebranded. All the greens, tees and fairways were rebuilt with Bentgrass (previously poa annua) and a new irrigation and drainage system was put in place. The greens were re-orientated and re-contoured, and all bunkers were re-positioned and re-shaped, adding tall fescue grasses to some. All holes were re-graded and had their fairways reduced to approximately 30 to 35 yards. Accent features like stone walls and eight timber bridges create an older feel and charm. To help make TPC Potomac a better course for hosting a PGA TOUR event, all of the spectator mounds were lowered to create a more natural look, with views of multiple holes now available from singular locations. At the 2006 Booz Allen, the course was set up as a 6,987 yard par 71 so around 150 yards was added and the par was reduced. The par five sixth is now a par four. The course in its old guise wasn't a tough examination and Ben Curtis won the final Booz Allen with a 20-under-par total but it's a completely different beast now and a proper examination. TPC Potomac was the hardest non-major course encountered on the PGA Tour last year and there were 225 double-bogeys or worse throughout the week. In addition to last year's renewal, won in extra-time by Kyle Stanley with a seven-under-par total, TPC Potomac also hosted the 2010 Senior Players Championship, which was also decided via a playoff after Mark O'Meara and Michael Allen had also reached a seven-under-par total (won by O'Meara ) and it was also the venue for the last two editions of the now defunct Mid-Atlantic Championship on the web.com Tour. David Lingmerth won with an eight-under-par total in 2012 and Michael Putnam took the title 12 months later with another seven-under-par winning score. Live on Sky Sports all four days, starting with Featured Group coverage on the Red Button at 17:30 (UK time). Full live coverage begins at 20:00 on Thursday. What Will it Take to Win the Quicken Loans National? As eluded to above in the course notes, TPC Potomac is a proper test where accuracy is a rewarded. Driving Distance is far from a crucial stat and only two of the first 16 last year ranked inside the top-ten for DD. It was reminiscent of a US Open set-up 12 months ago and all sorts of trouble awaited the inaccurate from the tee. Stanley finished the week ranking third for Driving Accuracy and first for Greens In Regulation and he was able to hoist the trophy despite ranking 60th for Strokes Gained putting - averaging 30 putts per round! Bombing it miles off the tee is a huge advantage on the PGA Tour but this looks like one of those rare weeks when the shorter and more accurate driver can not only compete but they can hold sway over the power hitters. Trying to find a link after one renewal is perhaps a futile exercise but it stands to reason that form at other tough tracks will hold up here and I did notice a possible link to the demanding South Course at Torrey Pines. The South Course was the US Open venue 10 years ago when Tiger Wood famously beat Rocco Mediate with a broken leg and it's the venue again in two years time but it also hosts the Farmers Insurance Open on the PGA Tour and the first four players home here 12 months ago - Stanley, Howell III, Rickie Fowler and Martin Laird all have form in that event so with the absence of anything substantial that might be an event to look at for clues. Troy Merritt and Billy Hurley were both winning for the first time on the PGA Tour and neither was expected to! Merritt was matched at [800.0] before the off and Hurley [400.0]. Those two renewals could be a blip though. Stanley has a bit of class about him and prior to Merrit's success, the eight previous tournament winners were all fairly well-fancied and very much in-form. And like last year's winner, Stanley, all eight had already shown plenty of form earlier in the season - regardless of venue. The first six winners had all won earlier in the season and the two winners before Merritt, Justin Rose and Bill Haas, like Stanley last year, had both recorded a couple of top-six finishes. It's perhaps not wise to give too much credence to just one edition but the frontrunners may well be worth taking on here as the first four home 12 months ago came from miles back at halfway. 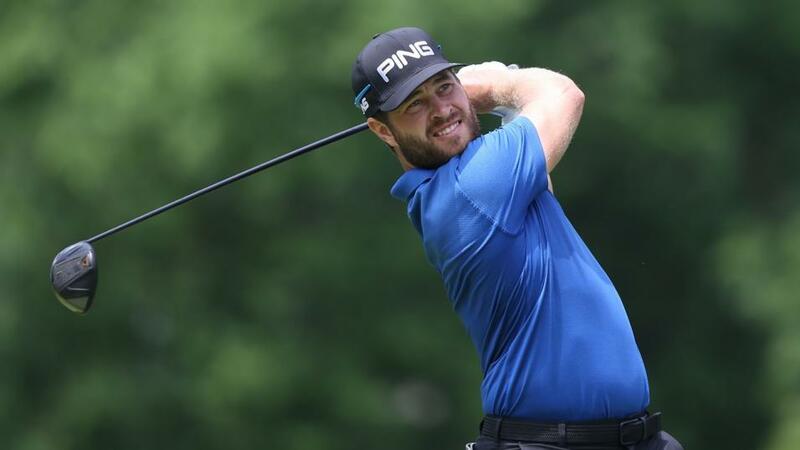 Stanley and Howell trailed halfway leader, David Lingmerth, by ten strokes, Laird was nine adrift of Lingmerth through 36 holes and Fowler trailed him by a dozen strokes. The four sat tied 23rd, tied 16th and tied 37th. Stanley was matched at [210.0] in-running and Howell hit [370.0]! There were five players within three strokes of Lingmerth's 54-hole lead but none of them (or Lingmerth who traded at odds-on before round four) finished inside the top-four places or within three off the lead after 72 holes so it's pretty clear that if last year's renewal is anything to go by, taking on the leaders and risking a few from off the pace is the way to go here but it's well-worth reaffirming that one year's worth of form is a tiny sample size. Another week on the PGA Tour and another week of head scratching about Rickie Fowler's price. I'm not sure there's ever been a more popular player in the PGA Tour win markets than Rickie given his propensity to throw away a winning opportunity and his overall scant wins to runs ratio. Fowler finished a fast-finishing third last year but if you haven't guessed yet, Rickie's a no for me at a single-figure price. They'll be much excitement again over the attendance of Tiger Woods but I'm more than happy to continue to virtually ignore his presence. In his pomp, Tiger could win absolutely anywhere but whether he'll be battle-hardened enough for TPC Potomac so soon after his return to action is debatable and he's certainly no value to do so. Last year's fifth, Marc Leishman, and course debutant, Francesco Molinari (who I'm surprised not to see in Paris), can be filed alongside Fowler as players that simply don't win regularly enough to justify being so short and Kyle Stanley is shorter than he's been for ages on account of him defending the title. Something that's nearly always a hindrance rather than a help. I thought David Lingmerth's course record was strong enough to warrant a small investment at [60.0] and my other three picks are even bigger outsiders. Sung Kang's course form figures are none too shabby either. After finishing sixth here on the Web.com Tour in 2013, he went one place better 12 months ago in this event and but for a deluge of rain he may well have won. Sung Kang hit a low of [2.14] before he got caught out by a heavy downpour. He had a four foot putt to tie the lead on the par four 16th hole but the heavens opened and Kang had no wet weather gear and no umbrella. "It said zero percent chance of rain all day. Like no chance of thunderstorms at all." Kang told CBS after his round. Kang missed the putt and then after a brief suspension in play, to allow for the downpour to pass, he found water off the tee on 17 and his chance was gone. James Hahn, commands respect on a tough course like this after two previous visits (36th and 46th) and he looked too big at [150.0] and I've also chanced another player that figured last year in Geoff Ogilvy at a monstrous [500.0]. Geoff loves a course that tests every aspect of a player's game and he sat second at halfway last year before eventually finishing 13th. I'm away on holiday this week so there'll be no In-Play Blog but I aim to return on Sunday morning with a quick look at how both tournaments stand with a round to go.